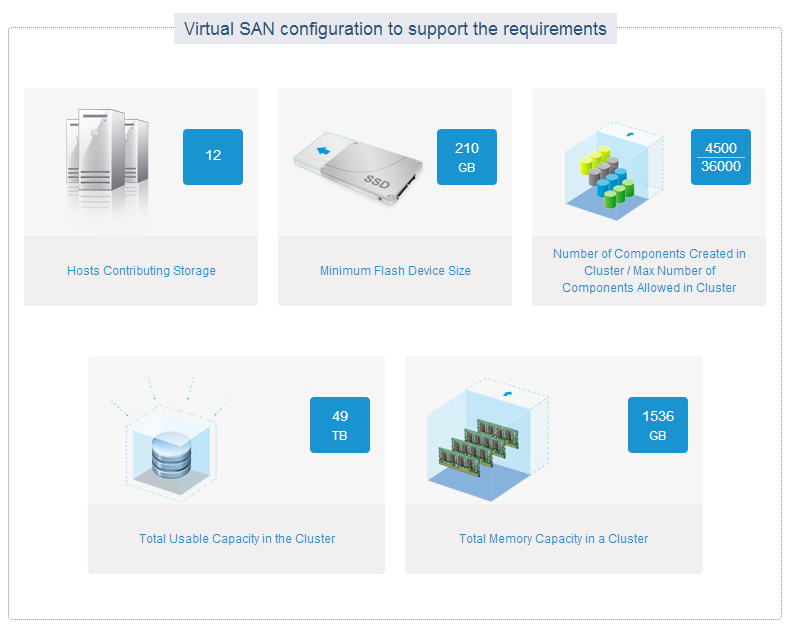 The new web based Virtual SAN Sizing Tool provides assistance for design considerations for a Virtual SAN infrastructure. Based on given requirement the tool provides full detailed specifications. 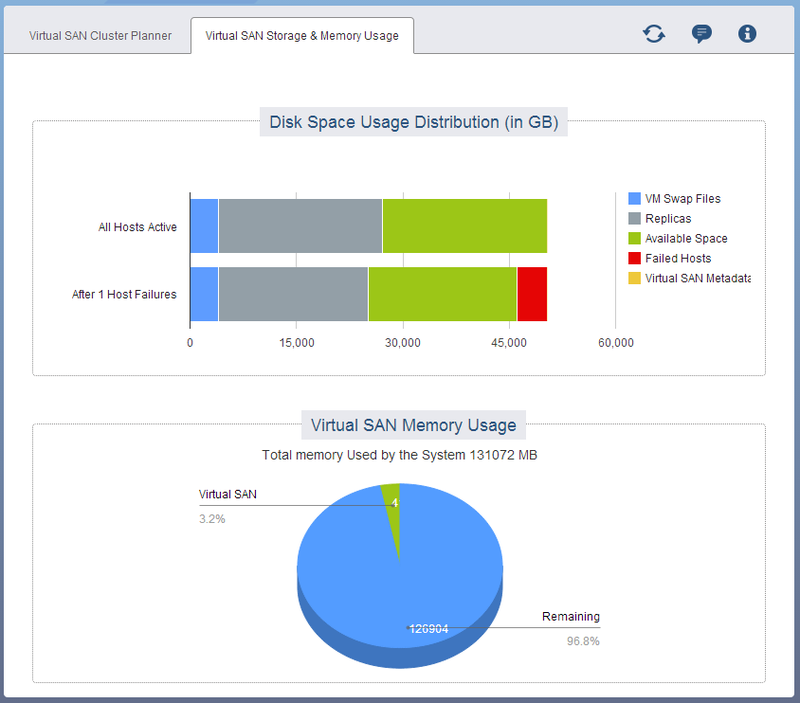 Input parameters are split into 2 separate sections: Virtual Machine Characteristics and Host Hardware Characteristics.